Photography is my true passion, as most of you know. However, sometimes, when my life gets busy or I start fighting a bit of depression (like when the weather is changing), I put "my" things or "my" time on the bottom of the priority list. This, of course, leads to even deeper depression, because I'm not doing what I love. With the weather changing, I feel a bit of that depression creeping upon me. So, I need to find some inspiration to push me to get out there and do what I love. That's why memes are so wonderful. They challenge me and inspire me and cause me to go 'looking' for a photograph. It's therapeutic. So, I've decided to join the Ruby Tuesday meme. Will I have something red to post each week? I don't know - but it's a challenge, and it's going to be fun. 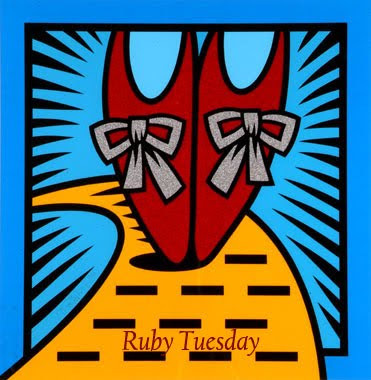 So, here is my first Ruby Tuesday contribution. What do you need inspiration in? Is it tackling a big project, losing weight or finding the top weight loss pills, making a big decision, taking the first step towards a big change? Lovely photo. Great to have met you on Clicknmom's! 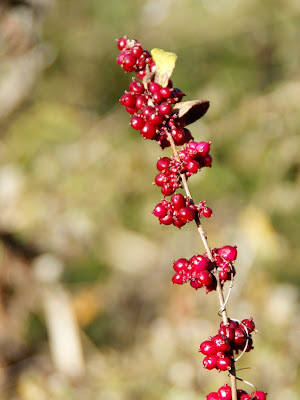 A lovely shot of the berries! Oh my, I have trouble getting inspired in a bunch of areas and different things help me find inspiration - heck I'm no help. :) Love your berries though! your first Ruby is a winner!! It's lovely, very tactile. A great backdrop, too - the mild olives and browns complement the reds and roundness of the berries. I get my inspiration from the subjects I photograph. And speaking of which, love this snap! I Love the memes too, they are fun and a challenge. Great photo of the berries. Hi Dawn! That's a beautiful photo. And yes, it IS therapeutic, indeed. Welcome and what a nice debut with that gorgeous photo. Photography really does keep the 'wolves at bay' for me too.